An immersive, hands-on learning experience using industry standard technology and software to shape and record your own music. Have you ever listened to music and thought to yourself, "I'd love to do that, but I don't know where to start?" Then here's your chance to take the plunge and learn the tools and methods used by today's top music producers and artists. The MAS String Ensemble is now rehearsing and growing at Music Academy South. It is available to any string player that has achieved fundamental performing and reading skills. Students do not have to be enrolled in private lessons to be a part of this ensemble. The community of circle drumming is reaching our culture due to the way it captures the essence of the body’s rhythm. Drum circles are a valuable way to connect with others. Sessions will develop basic strokes, improve a sense of rhythm, and expand your understanding of meter. These outward musical expressions are sure to lower your blood pressure! Come have some fun with us as we discover how to strum our way through songs new and old! Anticipate learning basic chords, reading charts, playing various strum patterns, and so much more. Now that you know how to play a chord or two, it’s time to jam with friends. Bring your ukulele or your guitar and create some stress free time designed to feed your soul. Looking to stylize your playing? Share your talents and ideas with this group as you form repertoire in various genres. Learn to arrange pieces, develop soloing and “comping” styles, and watch how your enjoyment of music soars. Develop confidence in how to continue growing as a musician. Discover new tools for the creative process. This casual atmosphere will build confidence as you enjoy sharing the joy of making music with other “hobbyist” adults. Find like-minded friends that don’t want a judging audience. Trust and Fun are guaranteed here. 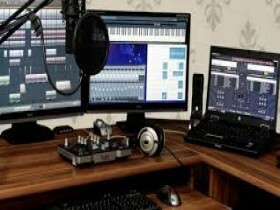 We’ve designed an outlet for working adults to pursue their passion with other hobbyist musicians. These sessions will find you becoming more proficient playing your instrument and arranging pieces suitable for a combo of any size. This course is for the beginning music student who wants to learn how to read, write, count, and play music on the staff, or for the intermediate or advanced student who wishes to improve their abilities in rhythm, music-reading, notation, score analysis, and even composition. Our experienced AP Music Theory teacher can help the student with AP coursework and to prepare for the AP test.